Take a look at one of the best Ashe cosplays we’ve seen. Fans of Overwatch have made some amazing recreations of their favorite characters since the game’s release in 2016. From Tracer to Widowmaker, the creativity of the community seems almost limitless. A new Ashe cosplay proves just how good they can be. Ashe was released in November 2018 during that year’s BlizzCon opening ceremony. Since then, many have attempted to mimic her likeness. Few have gotten as close to this one, however, which is from a Reddit user named Ruhira. 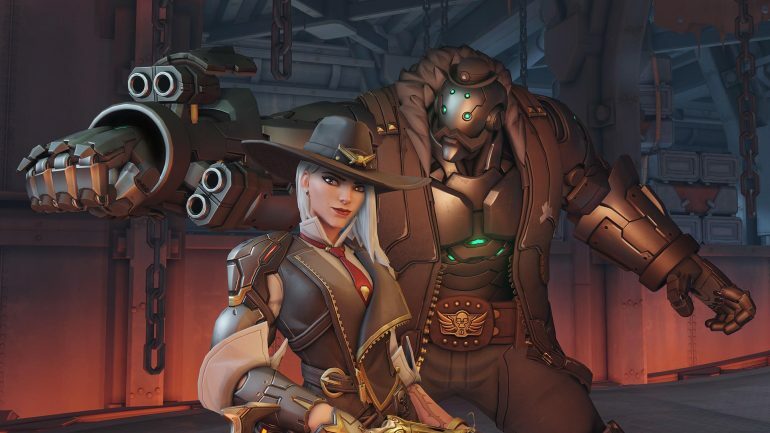 r/Overwatch – Ashe is ready for gamescom 2019! r/Overwatch: Subreddit for all things Overwatch™, the team-based shooter from Blizzard Entertainment. Her costume has it all, from Ashe’s signature hat, her white hair, gloves, and vest. The only thing that many pointed out? Her eyebrows weren’t “evil enough”, as one person said. “That’s my problem—I have no clue how to look angry!” Ruhira replied. Ruhira said that the cosplay was for Gamescom 2019, which will be held in Cologne, Germany. She doesn’t have a matching B.O.B. cosplayer, but, hopefully, there will be someone cosplaying the giant metal butler at the exhibition. This isn’t the only cosplay that Ruhira has done either—she has also cosplayed as Xayah, a champion from one of the most popular games in the world, League of Legends. If you’re heading to Gamescom this year, try to find the leader of the Deadlock Gang walking around the festivities!